Sony launches three new 4K HDR projectors | What Hi-Fi? 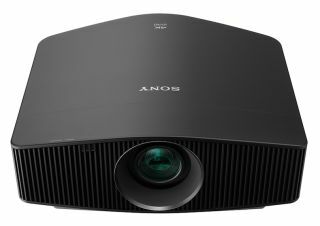 Sony has announced three new 4K projectors. All three are HDR and HDR10 compatible, and are fitted with Sony's proprietary SXRD panel in a drive for class-leading images. The VPL-VW260ES is the most affordable of the new models. It features 1500 lumens of brightness, 2.06 zoom and wide lens shift. The VPL-VW360ES replaces the VPL-VW320ES. It has the same headline specification as the VW260ES, but adds a claimed 200,000:1 dynamic contrast ratio. Both the VPL-VW260ES and VPL-VW360ES are available now, in either black or white finishes. The VPL-VW760ES is the priciest of the range (and replaces the VPL-VW1100ES). It's a laser light-source design, good for 2000 lumens of brightness. Unlike most laser light-source models, the VW760ES is reasonably compact (a full 40 per cent smaller than the current VPL-VW5000ES laser light-source projector). It's on sale in November of this year.